Those of us who have spent the bulk of our lives in small towns are horrified when a murder occurs in our beloved community. Such was the case with the citizens of Covington, Virginia, in July of 1992. My first wife and daughter (we had only one child at the time) moved to this small town in Alleghany County, Virginia, in 1982. The county itself is situated in the Allegheny Mountain range (no, the two different spellings are not typographical errors), and is roughly 50% national forest. Given that half the county is owned by the federal government, and half of the remainder is to be found on the sides of mountains, it isn't surprising to learn that the population is small. I suspect that the county's population then was somewhere in the ballpark of 13,000 to 14,000 people. The city of Covington is the only independent city in the county (and, by quirk of law, is thus not a part of the county, even though it is the county seat). My guess is its population was between 7,000 and 8,000 people: a nice, small town. Esther Agnes “Aggie” Albert was youngest of the eight children of Francis J. and Nomnum Bertrus Albert. One brother, “Boodie” Albert, was a beloved football coach at the high school, and the high school stadium is named for him. At the time we lived in Covington, only three of the children were still alive: Lilly (born 1905), Rosalie (born 1918), and Aggie (born 1923). I believe the three sisters, who lived together, were of Lebanese ancestry. At any rate, they always brought absolutely delicious Lebanese food to the get-togethers at Sacred Heart Catholic Church, on Main Street. Her half-naked body was found in an alley next to the church on the morning of July 3. She was discovered by a man who had spent the night in jail, which was across the street from the crime scene, recovering from a bit too much booze. He was not a suspect in the murder. Aggie had been strangled and raped. That same night, a young man in town committed suicide (his body was discovered just a half-hour after Aggie's body was found), and there was some thought that perhaps he killed himself out of remorse for committing this heinous crime. The police ruled him out as a suspect, but did tie him to another, completely different, murder committed the month before. Over the years, the local rumor mill has churned out a variety of suspects, but never with enough proof to result in an arrest, much less a conviction. I had moved to Georgia in 1989, and my family (now including two children born while we were in Covington) moved in 1990, after finally selling the house. We learned of Aggie's death in what were, for us, the pre-internet days. This means that we didn't generally learn all the facts straightaway, and we picked up some confusing half-truths. One of the things we heard that caused considerable consternation was that the priest at Sacred Heart was a suspect. I rejected that possibility outright. The priest that I knew was a good man, with a heart of gold. He had, after all, baptized two of my children. There was no way that I was that poor a judge of character. But it turns out that the priest I knew had been transferred from the parish shortly after our family left Covington. The new priest was the suspect. The new priest, the Rev. Edward C. Moran, has faced allegations of sexual misconduct on at least two occasions, one of the occasions occurring at Sacred Heart Church in Covington, VA, the summer before Aggie's death. He was transferred from the Covington church in 1994, but once again, in 2005, was removed from a church in Virginia due to allegations of sexual misconduct. The state did DNA testing in 2002, running the DNA found at the crime scene against known offenders, but did not turn up a match. It isn't clear whether this was due to the fact that there was no match to anyone in the system, or the DNA was too degraded to be of use. This summer will mark the 27th anniversary of Aggie's death. Unless we have a deathbed confession from the perpetrator, it is very likely that this crime will never be solved. All the Alberts of that generation are gone. Lilly died at the ripe old age of 92 in 1997, and Rosalie made it to the age of 86, passing away in 2004. The priest who, in my opinion, is the most likely suspect of those I've heard about, appears no longer to be the pastor of a church. There is a Rev. Edward Moran listed as a professor at St. Leo University in Langley, VA. I have no idea if this is the same fellow. All I can tell is that he is either an awesome or a terrible professor, depending upon which of the reviews you choose to believe on the website “rate my professors”. There is very little good news to this story, but the closest I can find is that the parish priest who, without question, had absolutely nothing to do with this crime, the fellow who baptized two of my four children, did return to the Covington church. He retired from that position July 11, 2018, and apparently still helps out when needed. I knew folks who loved him, and folks who didn't, but he remains one bright point of light in a church that has had its share of darkness lately. So, Father Tom Collins, I salute you, and wish you a very happy retirement. Today is day four of my five-day spring break, and I spent it in yard work. As a general rule, I am not a yard person. It is difficult to see the point of mowing the lawn: in a week or two I will just have to do the whole thing again, so why do it the first time? I was inclined just to let the yard go, to be that neighbor, the one that makes all the other neighbors feel superior. That path led nowhere, for a couple of reasons. The first is a tale of woe from a friend of mine, who was temporarily renting a house while his was being built, or renovated, or something. He was under the impression that the landlord was responsible for the lawn. He was wrong. It turns out there are lawn police in our fair town of Madison. (They probably don't go by that name. I'm thinking, Code Enforcement.) He was ticketed because his lawn needed mowing. That is when he discovered that care and upkeep of the lawn was his job. Politically, I am a Libertarian, and the whole idea of a government issuing a citation just because your grass is a bit too high rubs me the wrong way. In solidarity with my friend, who, fortunately, is now in his own home not in the city limits, I planned to protest his $25 citation by letting my lawn go, and daring the city fathers to ticket me. That path lead headlong into the second reason why I don't let my yard go au naturel: Kathy wouldn't hear of it. And so today found me changing the oil and spark plug in my trusty Troy-Bilt, buying a can of gas at the local Golden Pantry, and chasing Lucy around the yard with the mower. I have learned to enjoy mowing the lawn. It does not require very much thought. I simply follow the line between the cut grass and the uncut grass, a job infinitely easier now that my cataract is gone. I breathe in the smell of spring (i.e., pollen), and let my mind wander. And today my mind wandered back to October 25, 1992, six days before my 40th birthday. My wife at that time was adamant that I needed to babysit little baby Reilly, who was 11 months and six days old. I, on the other hand, had chores to do, not the least of which was mowing the weeds and ant hills that seem ever to constitute my yard. I suggested that I could babysit if I didn't mow the lawn. She objected: both needed doing. Something in her voice indicated that this was probably not the hill I should pick to die on, if I may be allowed to end a sentence with a preposition. Little did I know that she was planning a surprise birthday party for my 40th: come as your favorite dead person. (Little Reilly came as the Lindbergh baby.) She needed the lawn mowed, and she needed the freedom to go about her planning. And so I came up with a solution to the problem, which you can see in the picture above, or the video below. 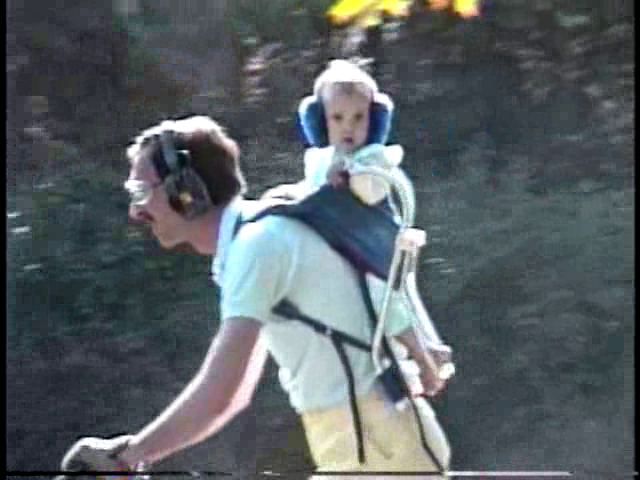 I couldn't find safety glasses small enough for Reilly, but I was able to use some ear muffs as noise protectors. And I must say, while little Reilly did look genuinely confused about the whole thing, she took it in stride. Ah, pleasant memories of yards I've mowed! I watched a good bit of television as a child, and I remember most of the shows fondly. Today, many of the old shows are available either on DVD or on one of the many streaming channels. I have been revisiting some of these shows, and not simply for nostalgic reasons. I have discovered that most of the older shows were simply better than the modern fare that I have seen. That statement, of course, does not apply to the technological aspects of the old shows. Modern production values are much better, much more polished. But it seems to me that, for the most part, the writing and acting in the old shows were better. I began my review of the old shows many years ago, when I purchased the five-season set of The Twilight Zone (1959-1964). It took nearly a year for me to view all the episodes. I have three comments: (1) the story lines were even better than I remembered; (2) the graphics and special effects were worse than I remembered; and (3) there were quite a few actors in the series who later became big stars. I am hard pressed to pick a favorite episode, but I believe “The Silence” (Liam Sullivan, season 2 episode 25) edges out “Time Enough at Last” (Burgess Meredith, season 1 episode 8), “Eye of the Beholder” (Donna Douglas, season 2 episode 6), “Two” (Elizabeth Montgomery and Charles Bronson, season 3 episode 1), “To Serve Man” (Lloyd Bochner and Richard Kiel, season 3 episode 24), and “Nightmare at 20,000 Feet” (William Shatner, season 5 episode 3). “An Occurrence at Owl Creek Bridge” (Roger Jacquet, season 5 episode 22), which was adapted from an Ambrose Bierce story, gets an honorable mention. Season 4, the one season when the show moved from a 30 minute to a 60 minute format, gets two thumbs down. Bill Scott and June Foray did the voices of Bullwinkle and Rocky, respectively. William Conrad, aka “Cannon”, was the narrator. I bought the discs containing the 82 episodes of “Zorro” (1957 – 1959) on a whim. I remembered this Disney Studios series fondly, and now, more than halfway through the discs, I remember why. This is a highly entertaining show, featuring a happy swashbuckler. The star of the show, Guy Williams, plays both Don Diego de la Vega and Zorro. Williams is probably more famous for his role as Professor John Robinson in the campy comedy Lost in Space (1965 – 1968), a show I did not see, but it is hard for me to imagine that he gave any finer performance than he did in his role as Zorro. His smile was infectious, and it was clear that he enjoyed the role. I doubt he did all his own stunts, but he did his own fencing scenes, so I wouldn’t be surprised to learn that he did at least a few. Judging by the surnames, there were very few Hispanics on the show. Williams looked the part, but his ancestry was Sicilian. The regular characters (Gene Sheldon, Henry Calvin, Don Diamond, George Lewis, Jolene Brand, Barbara Luna, Richard Anderson) were, for the most part, neither Spanish nor Mexican. The most pleasant surprise of all was The Avengers (1961 – 1969), a British series. I saw only seasons 4 and 5 back in the 1960s, as these were the first two seasons distributed in America. These two seasons featured Mrs. Emma Peel (a young Diana Rigg) as the athletic sidekick of the suave John Steed (Patrick Macnee), and I am sure that Diana Rigg in leather had something to do with my fond memories of the show. (The discs of seasons 2 and 3 reveal that Rigg was but the second leather-clad sidekick.) The show was quirky, bordering at times on campy. Steed and his sidekicks (Peel was the third of four) seemed perpetually to be saving Britain, if not the world, from mortal peril. Steed was the professional, an employee of some unspecified branch of British intelligence, while his sidekicks were talented amateurs, charmed by Steed into risking their lives for some worthy adventure. The first season is mostly lost. I believe my discs contain only 3 episodes from season 1, in which Steed plays sidekick to medical doctor David Keel (Ian Hendry). After the first season, Keel is gone, and Steed is in command. He works with a variety of partners before settling on Cathy Gale, a PhD anthropologist perfectly played by my favorite sidekick, Honor Blackman. Gale appeared in seasons 2 and 3. The final season saw Mrs. Peel replaced with Tara King (Linda Thorson). Thorson did a nice job in her role, bit it is clear (to me, at least) that the series should have ended after season 5. I see that this post is a bit long, so I will stop here. I do have one request. If anyone knows where I can obtain the discs for T.H.E. Cat (1966-1967, starring Robert Loggia), please get in touch with me. Last week was my mid-winter break, and I spent the week working on our short term rental properties. According to Mark Twain, “[H]istory doesn’t repeat itself, but it often rhymes.” In my case he is wrong: history does repeat itself. I seem to spend every break from school working on these short term rental properties. I had fewer jobs scheduled for the Asheville house, but they seemed to be more physically demanding: hauling out an old sofa, hauling in a new sofa, putting together the new sofa, as no furniture seems to come assembled these days. The other jobs were minor, in comparison. For the Beaufort house, the jobs seemed to multiply. I started with a list of three projects, but minor jobs seemed to keep popping up. Kathy hung a bag that had to weigh 25 pounds on a hand towel rack that was probably designed to hold at most three pounds, and the hollow wall anchors gave way. The new toggle anchors should hold 100 pounds. She lifted the drain lever in one bathroom sink, and the ball rod, many years old, snapped. Of course, the sink is non-standard, so that repair took a bit longer than expected. Still, after three days of hard work, the list of chores was completed, just in time for me to return to my paying job. The weather was bad in Asheville. We left a cold and rainy Madison for an even colder and rainier Asheville. Fortunately we did not see snow. The day we left Asheville for Beaufort, we left 40 degree wet weather for 77 degree sunny weather. That, of course, was the last day of good weather in Beaufort, the day we were barely there. Although the temperature wasn’t as cold as in Asheville, it was a bit too cool for short sleeved shirts. Lest you think it was all work and no play, I have to report the two Beaufort excursions that made my week. The first excursion was to The Lollipop Shop, on West Street, less than a block from Bay Street. It is pointless to pretend that I do not have a sweet tooth: I came by it honestly, through the genes. My maternal grandmother loved her candy. I am hard pressed to pick which she loved the most: hard candy, bubble gum, or snuff, as she was constantly sampling one of the three. She would have loved this shop. Their selection of candy is overwhelming. I have narrowed my focus to Jelly Belly jelly beans. I believe they carry every possible flavor, and in bulk. I generally fill one bag with sour cherry jelly beans, another bag with root beer jelly beans, and a third bag with cream soda jelly beans. I cannot walk by the shop without losing $40. My second excursion was at 7:30 AM, my normal time to visit Harvey’s Barbershop, on Bay Street. With the exception of my back-to-school haircut last August, this has been my barbershop for more than a year now. Sadly, I do not live in Beaufort, so that means I visit Harvey’s about once every 12 weeks or so. I am generally in serious need of a haircut when I get there. Furman Harvey opened the barbershop in 1936, and the business is now run by his two sons, Ray and Johnny. By the luck of the draw, Johnny has been my barber on all occasions except for the one time that Ray cut my hair. I don’t plan it that way: I’m always a walk-in, and I go to whichever brother happens to be available. Harvey’s is a right proper, old-school barbershop. Johnny and Ray are barbers: I would never think to call either a “stylist”. The shelf contains the old bottles that are so familiar: Jeris, Clubman, and Lucky Tiger hair tonics. Johnny’s chair has the requisite leather and canvas strops. Of course, the shaving lather is heated. And the conversation is typical barbershop conversation. It is a pleasant way to pass a few minutes, and an excellent way to start the day. I am guessing that it was sometime during the 1970s that I began getting my hair cut in a beauty salon. It seems that I was not alone, because barbershops have become hard to find. There is a “barbershop” (complete with barber pole outside) in Madison, but that is run by ladies. No hot lather machine there. I am sure there must be one run by men, but I do not know where it might be. Thus it is that about once every three months I come to Beaufort to knock out a list of chores, and to spend a few relaxing minutes in the company of my barber. A man will travel quite a distance to find a right proper barbershop. If you’ve read my past blogs you know I am a tremendous fan of the music of Artie Shaw. In my opinion, he was the finest clarinetist of the big band era, better than Benny Goodman (though I have friends who would debate me on that point). Unfortunately, he had a mercurial personality, and he was prone to quit when things were going well. If there is a better band than his 1938-1939 band, I am unaware of it. Yet Shaw walked out on this successful band, moving briefly to Mexico, only to return in less than a year to form yet another band, which provided music for the Burns and Allen Show on the radio. His inability to stick with a good thing cut into his income: he didn’t record and tour as frequently as he could have had he stuck with one band. By the same token, he appeared to have trouble making commitments in his personal life. That is, I suppose, the kindest way to introduce the fact that he was married eight times. Two marriages were annulled, and six ended in divorce. Among his ex-wives are four movie stars (Lana Turner, Ava Gardner, Doris Dowling, and Evelyn Keys), the daughter of a song writer (Betty Kern, daughter of the magnificent Jerome Kern), and an author (Kathleen Winsor, who wrote Forever Amber). 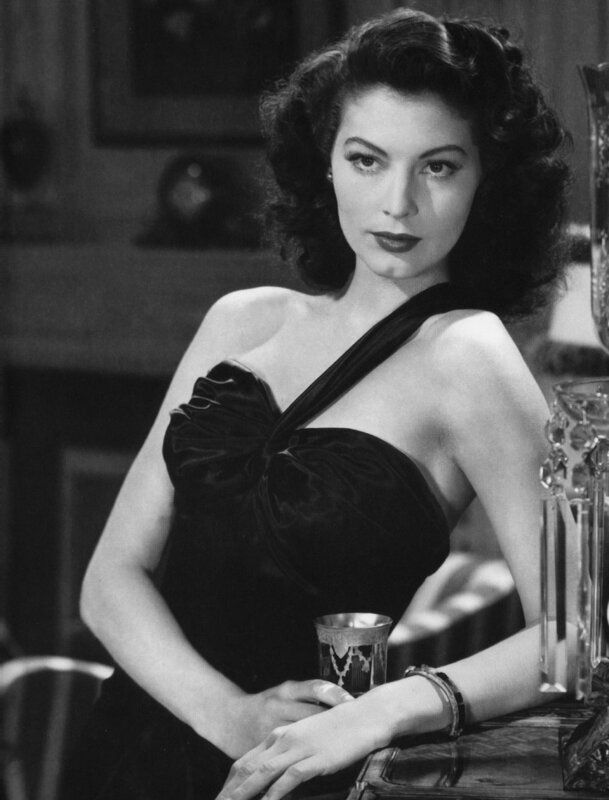 Of course, my favorite of the ex-wives has to be Ava Gardner. She was born near Smithfield, NC, the town in which I was born, and is buried there. She was married only three times (Mickey Rooney, Shaw, and Frank Sinatra). Between the demise of my first marriage and the beginning of my second is a stretch of time, approximately 12 years, in which I returned to the dark and dismal days of my youth, and found myself dating again. I have to say that dating was a good bit easier the second time around, if for no other reason than the fact that I didn’t have to worry about pimples. The women I met during that time were absolutely first rate. We were no longer teenagers, we had experienced a bit of life, most of us knew what not to look for in a relationship (and perhaps even a few knew what they wanted in a relationship), and best of all, we had more disposable income than we had during our teenage years. Generally speaking, we had a grand old time. I dated women from a wide variety of occupations (including one world record holder in long distance running). The one occupation that eluded me was that of movie star. That is, it eluded me until just recently. For some reason, Georgia has become a desired location for the movie industry, and our little town of Madison, along with neighboring towns of Rutledge, Covington, and Conyers, have had our share of movies filmed here. A retired friend of mine has, for several years now, been avoiding boredom by serving as an extra in movies. I have seen him in several movies, including Selma and the relatively recent Hidden Figures. 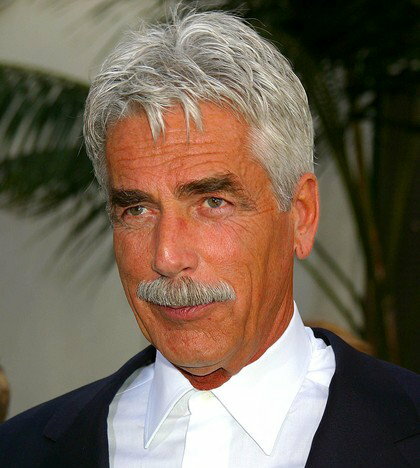 We had lunch with him the other day, and our conversation turned to his “acting” career, for reasons that will soon become apparent. He has been in so many movies that he lost count. He has not seen all the movies he has been in, and in conversation admitted that he couldn’t remember the names of some of them. The pay isn’t great for an extra, but the food is fantastic. His worst experience, he noted, was a 17 hours work day in Covington, due to delays caused by a storm. There was only one meal provided, because the caterer hadn’t planned on that long a day. Some years ago he put Kathy in touch with the people who provide extras for movies in the area, and soon enough Kathy was called to the big screen. Her first experience was in the movie Pitch Perfect 3. She spent her day on the set of the French market scene. She was mighty excited about the day, and of course, we had to go out and get Pitch Perfect and Pitch Perfect 2, which, unfortunately, turned out to be musicals. I do not like musicals. A couple of years ago, when it finally reached the theaters, we had to go see it. It was, surprise surprise, a musical. At any rate, we gave the French market scene our full, undivided attention. I did not see Kathy, and Kathy did not see Kathy, on the big screen. A few months later I saw the DVD in Wal Mart, bought it, and scanned it frame by frame. No Kathy. She was left on the cutting room floor. Two or three years ago a production company made a movie entitled St. Agatha. The filming was done in Madison and Rutledge, with some post-location filming in a studio in Los Angeles, or Hollywood, or somewhere on the left coast. Kathy was once again called to the big screen, and once again we made a mental note to look for the movie in the theater. It never made it to a theater near us. I never saw the DVD in Wal Mart. The other day it occurred to me that we had not seen this movie, so I searched the streaming services, and found it for rent on two of them. Unfortunately, the movie was a horror film, and Kathy ends up with sleepless nights after viewing horror films, so she didn’t watch the movie. (She has missed so many excellent Hitchcock movies!) I watched it, and sure enough, about 35 minutes into the movie, she is there, unmistakably, on the screen during the Funeral scene. About 10 minutes later in the film, our friend, the old hand at being an extra, occupied center stage. I went to bed last night, and for the first time, found myself sleeping with a Movie Star! During the 1980s, it occurred to me that there were a couple of things I didn’t know how to do. The first area of ignorance was how to tie a bow tie. I had mastered a few necktie knots (the full Windsor, the half Windsor, the four-in-hand, and my favorite, the Shelby), but I didn’t have a clue as to how to go about tying a bow tie. That problem was easily solved. My mother-in-law at the time gave me a bow tie for Christmas one year, and so I was forced to learn how to tie the thing. Even in those pre-internet days, instructions were easy to find. I believe the set of instructions I used came from Parade magazine, the glossy rotogravure supplement inserted into most Sunday newspapers. I am now quite proficient at tying a bow tie, even though I try to avoid all occasions that require me to wear either a necktie or a bow tie. The second area of ignorance was how to shave with a straight razor. I have wanted to use a straight razor (a.k.a., cutthroat razor) ever since I saw the 1959 Hitchcock masterpiece, “North by Northwest”. [If you haven’t seen this movie, stop reading now, and go watch it.] Advertising executive Roger Thornhill (Cary Grant) is mistaken for spy George Kaplan. Forced to flee the Bad Guys, he escapes New York via the 20th Century Limited train to Chicago. He spends the trip in the company of beautiful Eve Kendall (Eva Marie Saint), who appears to be working for the Bad Guys. I know, this is getting complicated. I’ll cut to the chase. In Chicago, Thornhill pops into the men’s room to shave. He uses the very small shaving brush and microscopically-sized double edge safety razor that, we are to assume, Kendall uses on her legs. Standing next to him in the men’s room, also shaving, is a beefy son of the Midwest, face lathered completely, removing his whiskers with a straight razor. 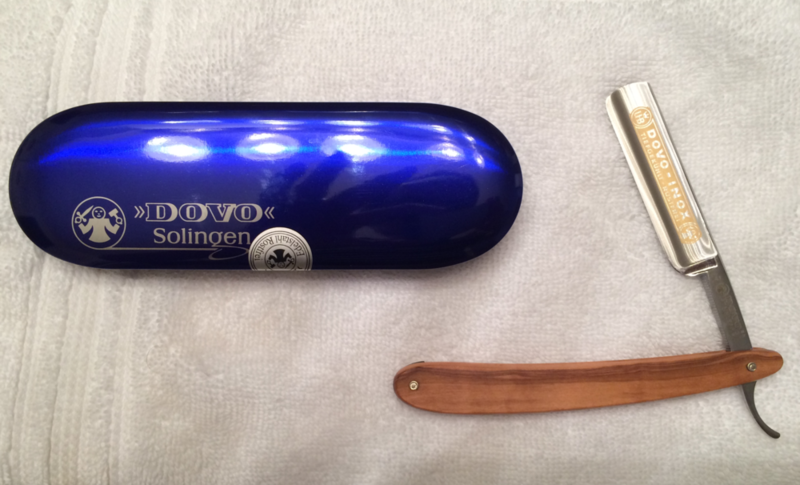 The contrast between the manly straight razor and the tiny lady’s safety razor is obvious. As it happens, at the time I was writing a book, and my writing habits involved getting up at 5:00 AM, showering and shaving, then working until 8:00 AM, when I had to quit working on the book in order to earn a living. If the clerk had said “I wouldn’t try this at 4:00” I would have most likely purchased the blade then. Unfortunately, he used the precise time I was thinking about using the blade as the one time not to use the blade. And so I let it go. I mentioned last week that Gillette’s “toxic masculinity” commercial had pushed me over the edge. Proctor and Gamble owns the Gillette brand, so I spent some time during the week finding replacements for P&G products. Unfortunately, Proctor and Gamble purchased my beloved Old Spice from Shulton in 1990, so my association with Old Spice, which has gone on for more than 50 years, has ended. No matter: I’m sure that the Mennen after shaves and deodorant I ordered this week will be more than adequate replacements. I dug out a shaving scuttle that was given to me as a gift back in the 1980s, a scuttle that has a drawing of the U.S.S. Constitution on its side. I purchased a new, badger hair shaving brush. I bought two strops: one of leather (for putting the finishing edge on the razor); and one of cloth (for cleaning the razor). In addition, I purchased a bottle of “1907” strop dressing. All that was left was to purchase a razor. Straight razors can get quite expensive, up to $1,000 or more. That was out of my league. I decided against the cheap blades, too. No $25 straight razor for me! I wanted a blade that would hold an edge. I settled on the Dovo 5/8 Olive wood-handled razor. I bought it through The Superior Shave Amazon storefront, and it looks to be a beauty. The razor is manufactured in Germany. The reviews were excellent, and the price, $181.32, assured me that I was getting a quality instrument. I will try it tonight. Since a shave with a straight razor takes a bit longer than with a safety razor, I figured I should do my shaving in the evenings, at least until I become accustomed to using the razor. My goal is to end the first week of shaving with a straight razor without look as though my face had been shoved through a pane of glass. Unfortunately, this cannot be taken aboard an airplane, and I do not check bags, if at all possible. I wonder if the 20th Century Limited still runs? Superbowl LIII will be played (performed? unveiled?) next weekend in Atlanta, which can only mean one thing: it is time for a nice ice storm. The last time Atlanta hosted the Superbowl, in 2000, the city was struck two weekends in a row prior to the event with ice storms. Everyone panicked, but I seem to recall that it all turned out well, except for the two folks who happened to bump into Ray Lewis after the game. I hate to admit it, but the Superbowl holds no excitement for me. The last one to really get me going was Superbowl III, fifty years ago, when Joe Namath led the New York Jets to a stunning victory over the Baltimore Colts. Since then, I've watched a few Superbowls, but most years I just give it a miss. Football really isn't my sport. My high school had excellent football teams during my four years there, but I can't say the same for my college. Clayton (NC) High School was usually in the hunt for top honors. Not so Dear Old Wake Forest. Wake Forest University, during my four years there, managed three wins and one tie. Yes, that was for the entire four years. The year without a win was during my senior year. They certainly didn't get better the longer I stayed there. I've used this as a joke for so many years that I can no longer recall whether it is true, or not. At any rate, I'll throw it out there one more time. It's the only team I've ever known where the punter was the MVP, four years in a row. As for professional teams, I've lived in two cities with NFL teams, and neither did very well during my tenure in each city. I moved to Maryland in 1978, and to Baltimore in 1979. The year 1978 was the beginning of a nine-year losing streak for the Colts. I moved from Baltimore in 1982. In 1983, the Colts played their final game as the Baltimore Colts. The team relocated to Indianapolis in the middle of the night on March 29, 1984. The name “Bob Irsay” is still reviled in Baltimore. I moved to the Atlanta area in 1989, and moved out to the countryside in 2005. Let us stipulate that in 1998 the Falcons had a great season, which netted them an appearance in the 1999 Superbowl. They were unable to defeat the Denver Broncos that year, but any year that results in a Superbowl appearance has to be a good year. But that was the highlight. I am looking at the Wikipedia article on the Falcons, which refuses to give the win-loss record by year. It does give the overall record for the Falcons: 355 wins, 449 losses, for a winning percentage of 44.2%. The post season is similar, percentage wise: they win 45.5% of the time (10-12). I just don't seem to recall the Falcons as a powerhouse team during my tenure in the Atlanta area. The television commercials associated with the Superbowl are eagerly awaited each year, but I'm really beginning to get my fill of commercials. It seems that so many now are Deadly Earnest, and Politically Correct. I've used a Gillette Sensor Excel razor for many years now, but once I have used up my pack of replacement blades, it is going into the trash. If I had wanted a lecture on toxic masculinity, I would have joined a feminist church. At any rate, I've always wanted to give the straight razor a try. I can't imagine that the commercials this year will be anything but MeToo-isms. The halftime show is pure Hollywood: overkill to the 98th power. I have seen a few, but prefer to miss them now. That leaves me out in the cold every now and again (I had nothing to add to the water cooler conversation surrounding the 2004 “wardrobe malfunction” of Janet Jackson), but I can live with that. It seems to me that the major reason for the existence of the Superbowl is to serve as an excuse for Superbowl parties. I've attended a few, and they usually are great fun, especially if they are attended by others like me, ladies and gentlemen who don't even know who is in the Superbowl. But inevitably there will be real football fans present, people with real interests in who wins, and who loses, and the viewing of the game will gradually become filled with tension. That is generally when I leave the party. Kathy mentioned something this morning about the Superbowl, and I could have sworn I heard the word “party” in the conversation. I think she has been invited to one, but the jury is still out on whether I am allowed to attend. I wonder why? It is either a blessing or a curse to be living in these modern times if you are enamored of gadgets. And I do love my gadgets. It is possible that I received this blessing, or curse, in my childhood. Every now and again Santa would bring an electronic kit needing assembly, and before you knew it, I had a collection of home-made gadgets: an AM radio, an analog computer, and my favorite, an AM radio transmitter. I believe I was infected then with the gadget bug, and have since lived with a bad case of gadget-itis. I was born in the early 1950s, so what constituted a gadget has changed considerably during my lifetime. In the late 1950s and early 1960s, the laser was the latest thing. It was The Death Ray, real Buck Rogers stuff, a thing of mystery. The first time I ever saw a laser in person was in the late ‘60s, at N. C. State University. The event was some sort of enrichment day for high school students, and we all were mesmerized by the collimated beam of coherent red light issuing forth from one end of the laser. Fascinating stuff. By now, everyone in America has owned at least three laser beams (I understand there are three in a CD player), and the technology no longer excites. People even use laser beams as pointers for overheads, which to me is a bit like using an atomic bomb to kill a cockroach: overkill. I think it was during my sophomore year in college that the department received it’s first portable computer. It was a Hewlett-Packard, which was portable only because the CPU, and the compiler, and the paper tape reader fit nicely into a metal rack outfitted with coasters. We could thus roll it from room to room, and hook it up to the teletype machines scattered throughout the building. It was definitely during my sophomore year in college that I saw the very first of the pocket-sized electronic calculators. These, too, were Hewlett-Packard machines, specifically the HP-35 calculator. (I am ignoring the SR-10 calculator made by Texas-Instruments. The SR-10 performed only 5 functions: addition, subtraction, multiplication, division, and the extraction of square roots. Price tag: $125.) Every professor in the department received an HP-35 (price tag: $400 each). I wanted one badly, but couldn’t justify the cost until the next year, when two semesters of physical chemistry practically demanded that I have one. By then, the HP-35 had dropped in price to $300, because of the introduction of the newest model, the HP-45. Being a gadget guy, I of course bought the HP-45 (price tag: $400). That was 1973. I still have the HP-45, and it still works. They stopped making battery packs for the device decades ago, and some years ago I tired of soldering Ni-Cad batteries together to make my own battery packs, so the 45 is officially retired. But you need to get a feel for the cost of gadget-itis. I spent $400 on a calculator that is inferior to the $13 calculators you now see on the end caps of the calculator row at Staples. The real indignity is that I can buy an iPhone app for the “vintage 45” for $0.99, and turn my phone into a 45. From $400 to $0.99, such is the sacrifice we gadget guys make in order to have the latest and greatest. I suppose my worst experience with gadget-itis was in 1984. The VCR recorder was coming into its own, and I had to have one. But I didn’t want just any VCR. I wanted one that was portable, so that I could hook a camera into the recorder and make family films. That meant I had to have one that could run off an internal battery pack, in addition to running off standard AC. But more than that, I had to have a VCR that was highly programmable. I wanted programmability for weekly shows, daily shows, one-off shows, the works. I really didn’t need all this flexibility: I just wanted it. That is how I ended up spending $800 for a VCR, and another $800 for a camera. Christmas of 1984 was quite expensive. In retrospect, I could have saved a few hundred dollars by buying two VCRs: one that was highly programmable but not portable, and one that was portable but not programmable. These are the mistakes we gadget guys make. What has prompted these reflections is the condition of the battery in my iPhone 5S. The device holds a charge, and works for quite some time at what appears to be a steady discharge rate. But when the phone reaches some critical threshold value of charge, the battery life drops off drastically. Friends tell me this means the battery, and hence the phone, is on the back nine. I don’t know how much longer we will be together, but it probably will not be much longer. So I have to buy a new gadget. But the thrill of buying a replacement gadget is gone. The 5S and I have been around the block a few times over the past five years, and I hate to part with him, especially if it means a change in my telephone-access habits. I hear the new iPhones don’t have a home key. The fellow at Best Buy reassured me that after an hour with the new iPhone I would be completely comfortable with it. I doubt it. This represents change, and as I have noted in the past, I’m no longer good with change. I haven’t been all that happy since Queen Victoria died. So my transformation is complete. I am no longer the starry-eyed young gadgeteer, playing with his home-made AM radio transmitter and dreaming of laser beams. No, I am now the crotchety old geezer wondering why in hell Apple can’t make a battery that will last until I finally get around to kicking the bucket. Teaching school is a great gig. I speak from experience: I’ve had other jobs that weren’t so nice. Where else, I ask you, can you get a job that requires you to work for only nine months, yet lets you draw a full year’s salary? I know some teachers complain about the extra hours they put in at home. You will not find me complaining about the hours. My other jobs often found me working at home, even during the weekends. I can’t tell you how many Labor Day or Fourth of July holidays were cut short because I had to travel to some place important for a meeting on the day after the holiday. My regular work week is 47 hours long, not counting commuting time, an improvement over some of my other jobs. I enjoy the free time the job offers: two months off in the summer, two weeks at Christmas, a week for the midwinter break, a week for spring break, the two days for the fall break, and the holidays scattered throughout the year. My favorite season is summer, and it is glorious to have most of the summer off. The only problem I have is that the days off are set by the school calendar. I do not have vacation days that I can schedule when I wish during the school year. But that is a pretty small inconvenience, to be sure. My days off tend to be hectic, as I try to fit in all the activities I never quite seem to find the time to do when school is in session. The recent Christmas break was no exception. I spent some of the break relaxing, but some of the break scurrying about, doing the things I ought to have done already. So it was that on the afternoon of New Year’s Eve, 2018, I found myself in a checkout line in Wal Mart. I was purchasing a cleaning kit for a project. I had one item: a box, containing all the cleaning supplies. As per usual, only four of the 16 or so checkout lanes were open, and there were lines at each of them. Under normal circumstances I would have gone to the self-checkout scanners, but there was a very long line there. I finally found the shortest line, at the “20 Items or Less” register. There were only two sets of customers in front of me. Immediately in front of me was an elderly lady. Given that I am in my mid 60s, by “elderly” I mean someone considerably older, perhaps someone in her late 70s, possibly her early 80s. In front of the elderly lady was a fairly young family, father and mother with two young children. And this young couple was having a little trouble paying for the food that seemed to be the only items in the shopping cart. The young mother was trying a credit card when I arrived in line. It was declined. She tried another card. Again, declined. The two children were getting antsy. The father pulled out a card. Declined. The couple didn’t seem to know what to do. I was getting angry. It is a rule of sorts that the line I choose to enter will eventually become the slowest moving line. I glanced over at the self-checkout scanners. The line was very short. Those folks were getting through the process fairly quickly. Why does this always happen to me? By the time I turned back to look again at the young family, the elderly lady in front of me had opened her wallet and pulled out a $100 bill. She offered it to the lady working the cash register. And when the cash register attendant returned the change, the elderly lady shook her head, pointed to the young mother, and said “Give it to her.” The young mother tried to refuse, but the elderly lady wouldn’t have it. The grateful and embarrassed young family moved on. I do not know her name, but she is one of my fellow citizens. She is a good person trying to do the right thing as her conscience dictates. I really don’t care what she thinks of the President, or the Congress, or the wall, or impeachment. None of that matters. She and people like her – not the politicians – make America great. Happy new year, y’all. I hope that 2018 treated you decently and that 2019 treats you even better. There are many traditions associated with the arrival of a new year, most of which involve food. The one I observed for most of my life involved black eyed peas, collard greens, and cornbread. Last year I had to make a slight compromise, substituting Hoppin’ John for straight black eyed peas. What can I tell you? It was the only restaurant open in Beaufort, and it was a dive. One tradition that I no longer engage in is the practice of making New Year’s Resolutions. I’ve made plenty of them over the decades, but I’ve only ever kept one. One year, I made a resolution to dispense with low-to-medium quality booze, and to drink only top-shelf Scotch whisky. Not only was I able to keep that resolution that year, but I kept it for many years thereafter. All the other resolutions fell by the wayside. Most of the significant changes I’ve made were not as a result of a New Year’s Resolution. I did not wake up one January 1 and say, “Hey, this would be a good year to get married. I think I’ll make that a resolution.” No, it happened in a completely different way. The same holds true for giving up the tobacco habit. I have known since before I picked up the evil weed in high school that smoking was not good for one’s health. That, of course, is the problem with highly addictive substances. You know they are bad for you, yet for some reason, you try them. After that, you get hooked. And I was hooked on tobacco. I came up with all sorts of justifications. I reasoned that most people have addictions of one sort or another, and the tobacco addiction was cheaper than heroin. (I’m not really sure that is true any longer.) How bad can the product be, given that it is still legal to sell in stores? On and on came the justifications, but in the back of my mind, I knew that one day I would have to give it up. I tried several times to quit smoking. My most successful attempt lasted nearly 14 hours. I was well and truly hooked. Several years ago I planned a trip to Australia. After combing through the airline schedules, I decided the best thing to do would be to fly to San Francisco, overnight with my daughter Katie, and then leave for Sydney from San Francisco. Under the best of circumstances, that would require me to go 19 hours without a smoke. With a little bad weather and other delays (for example, customs and immigration control), I could find myself without tobacco for 24 hours. There was no way I could go that long without a smoke, knowing that one was waiting for me at the end of the flight. That old 747 would be putting down on some tropical island, the police or military would board the plane and haul me off for tampering with (i.e., destroying) the smoke detector in the lavatory. I would to this very day be languishing in some tropical paradise, making license plates, or picking up coconuts, or serving some other kind of punishment. No, in order to make that trip, I had to quit for good. And I knew just how to do it. In the summer of 2006, Chemical and Engineering News (a weekly publication of the American Chemical Society) ran a special report on methodologies for treating addictions of various types. I flipped over to the nicotine addiction report. It was dismal. Of all the treatments, the most successful had a one-year success rate of 20%. Although 20% is not a great success rate, it was the best option available, and I took it. And thus I chose Chantix, a smoking cessation product from Pfizer Labs. My doctor was ecstatic, and told me that if I was serious about quitting smoking, I should take Chantix for three or four months. I agreed. That is, I agreed until I filled the prescription, and learned that my so-called health insurance would not cover any of the price of the medication. And a month’s prescription for Chantix was not exactly pocket change. I started on Chantix about three weeks before the trip, and then had to make a decision. I would run out of the first month’s supply while in Australia. Thus, before taking the trip, I would have to decide whether to get the second month’s supply, or take a chance that I could make it after only one month on the drug. I took a chance, didn’t refill the prescription, ran out while in Australia, and never smoked again. 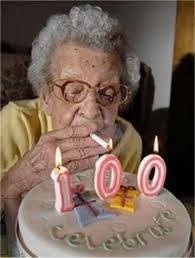 In retrospect, I believe the important element was the real desire to quit smoking, a desire I did not have in the past. I probably could have quit without Chantix, given that my mind was in the right place. So, I do not make resolutions for the new year. This is not to say that I don’t have goals to achieve. One goal is to be a bit more regular in posting these blogs. I’m not making any promises nor taking any vows, but I will make an honest effort. I hope you enjoyed your black eyed peas, collard greens, and cornbread! We have a rental property in Beaufort, South Carolina, and from time to time we have to pack up our tool kits and head to Beaufort to do a little work around the place. When we travel from Madison to Beaufort, we take the interstate to Augusta, grab the Bobby Jones Expressway, cross the Savannah River into South Carolina, and then take a series of back roads which eventually deposit us in Beaufort. This itinerary takes us through the Savannah River Site, which we affectionately call “The Bomb Plant”. We are not really sure what they do at this national laboratory, but given its proximity to a couple of nuclear power plants, we romantically assume it has something to do with radioactive elements and the bombs they produce. I particularly enjoy the 18 mile trek through the Site because of the road signs. These warn me: not to stop (so why did you put a historical marker at the Barnwell County line, if I can’t stop to read it? ); to beware of the wild hogs (since I drive through there at night, I hope they glow in the dark); not to stop; to stay in your car; to be careful of the dogs that are unleashed for the deer hunt; not to stop. Wait a minute: a deer hunt? I’m confused. Do you shoot them from your car? Who gets to hunt deer on the property of a national laboratory? Once we leave The Bomb Plant, we encounter a series of small towns: Allendale, Fairfax, Brunson, Hampton, Varnville, Cummings, Yemassee. The focus of this missive is the town of Hampton. Some years ago, the AJC (Atlanta’s newspaper, know variously as The Atlanta Journal-Constitution, The Al Jazeera Constitution, or The Atlanta Urinal and Constipation, depending upon your political perspective) ran an article about a fellow in DeKalb County who successfully challenged a speeding ticket in court. The basis of his defense was the radar license that the State Police issued to local law enforcement. 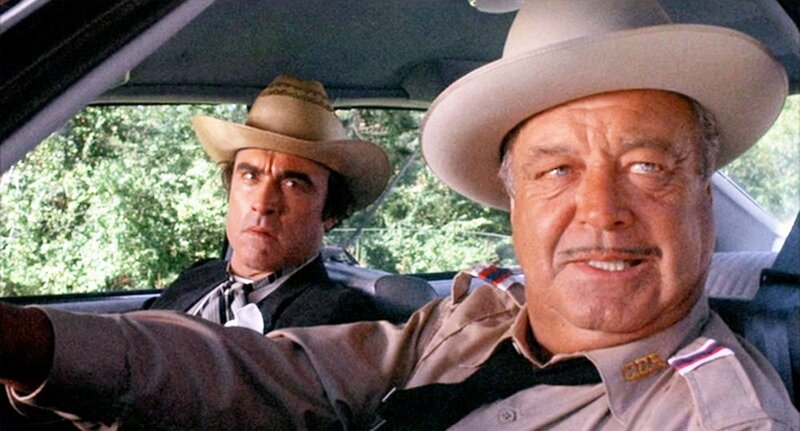 In turns out that, in Georgia, the State Police issue licenses to local law enforcement that permit them to issue radar-based speeding tickets if, and only if, the speeder is doing 10 miles per hour or more above the speed limit. DeKalb County had nailed this fellow with radar at some speed less than 10 miles per hour above the speed limit. He won his case, and helped to wipe out a bunch of speeding tickets state wide. He is a hero. Ever since, I have lived by the 9 miles per hour rule. When you see a posted speed limit, set your cruise control for a maximum of 9 miles per hour above the limit. When I have adhered to that rule, I have driven unmolested. When I have ignored that rule, I have invariably been ticketed. Although the AJC article addressed the state of Georgia only, I have assumed that a similar licensing arrangement must be true in other states. Some time ago we were driving on a Friday night to Beaufort, for another fun-filled weekend of carpentry, plumbing, and yard work. We enjoyed our trek through the Bomb Plant, and through Allendale County. But then we entered Hampton County, and the trip lost its joy. I slowed down to 44 miles per hour because there was a good bit of traffic on this strip. I assumed the speed limit was 45, given that it was a bypass of sorts, populated with gasoline stations and fast food joints. I discovered I was wrong when the blue lights came on behind me. I was doing 44 in a 30 miles per hour zone, and so I received a ticket. If you remember the movie “American Graffiti” you probably remember John’s reaction when he received a ticket: “File that under C.S.” he said, as he passed the ticket to Carol, who stuffed it into a door pouch full of tickets. I had a similar reaction, and filed the ticket in the truck’s C.S. filing cabinet. I assumed the police officer was being nice: he said he would only charge me with going 39 miles per hour in a 30 miles per hour zone. Sometime during the night it hit me: if I was charged with doing 9 miles per hour over the limit, I could probably fight this in court. So, the next morning, I went out to the truck, opened up the C.S. file, and fished out the ticket. And there it was, printed clearly on the ticket: “39 mph in a 30 mph zone (44)” The 44 in parentheses was my actual speed, printed that way in order to remove that as a basis for fighting the ticket. I paid it online, and wrote it off as a bad experience. That fall, when my auto insurance renewed, there was no increase in the premium. I assumed that the ticket information hadn’t had time to cross state lines. The next year, my premium was reduced, due to a good driver discount(!). The town of Hampton had plenty of time to notify the state of Georgia, but it didn’t. My premium has never increased on account of that ticket. I have mixed feelings about this. One the plus side, the ticket did not affect my insurance, and that makes me happy. On the down side, there appears to be one reason only for failing to notify other states about tickets issued to their citizens. A town that does this tends to fly under the radar, if you will pardon the pun. It has a way of enhancing local revenues without generating massive protests from the affected population. We have a description for towns like that. The proper term is Speed Trap. Having moved the first 12 boxes of Christmas decorations from the attic to the hallway, I am reminded of a simpler time, a time when the Christmas tree was easy to decorate, and more importantly, easy to take down. I remember specifically the photo above, of my Christmas tree years ago, during the period of my bachelorhood. In his 1990 autobiography, Ronald Reagan wrote that he was pleased when his hair finally turned gray, as it stopped reporters from asking if he dyed his hair. There is considerably less interest in the color of my hair, but now that the change in color is picking up steam, I, too, will soon be spared the “hair dye” question. When people asked me whether I dyed my hair, I was aggravated, for two reasons. The first, I am exceedingly lazy. I am so lazy that I don’t even bother using conditioner, though everyone tells me I should. I am able to muster just enough energy to apply a little Brylcreem to my hair, and that’s that. Coloring my hair would require way too much work. The second reason I get perturbed when people ask me about dying my hair is that the question presupposes that I find gray hair objectionable. I do not. Gray hair, whether in the form of streaks, salt and pepper, or the full-blown silver mane, tends to lend an air of wisdom and sagacity to the bearer. I could use that, from time to time. I’m not sure what causes gray hair. Age, certainly, plays some role, but it can’t be the only factor. I have had friends go completely gray in their 30s, while people like Ronald Reagan make it into their 70s before turning completely. Surely genetics must play some role, but the extent of that role is unclear to me. My father was gray in his 50s. I do not know about my mother: only she and her hairdresser knew for sure. In 2005 I was teaching at a boarding school in Dunwoody, GA. We had a week off for spring break, during which time I failed to shave. When the week of spring break was over, I decided to keep the beard, which was predominantly gray to white in color. I had a touch of salt and pepper at the temples, but the rest of my hair was brown. One day, in the Kroger I frequented every week, the little girl running the cash register asked me if I was eligible to receive the senior discount. I was 52 at the time, and so I answered “no.” She flushed. I recalled that my bank, First Union (otherwise known as FU), offered the senior discount at age 50, so I asked the girl about the age eligibility. I forget her answer, but it was somewhere in the distant future. I shook my head “no” again, and she began to turn red. After a little thought, I asked “It’s the beard, isn’t it?” At this point she turned cherry red, and checked me out as quickly as she could without giving me an answer. I went home and shaved the beard. It is one thing to portray an air of wisdom and sagacity, but quite another to look several years older than I am. I see more gray strands every day in the mirror, and that part of growing older is something I can live with. Did I just end a sentence with a preposition? In July of 1960, General Eisenhower had been President of the United States for seven and one-half years. His mood was light: the burden of office would soon be lifted, and he could retire to his farm in Gettysburg. He attended the Republican National Convention in Chicago that month with the idea that he would enjoy himself. Yes, he had to give a speech, but that was his only obligation. The rest of the work fell to his Vice President, Richard Nixon, who would soon be, officially, the Republican candidate for President of the United States. Ike delivered a decent valedictory, recounting the state of the United States, paying tribute to the good, hardworking citizens of the country. He read the whole thing. Even though the TelePrompTer had been invented by then, it was clear from the YouTube clips of the event that Eisenhower wasn't using one. He did get a bit emotional at one point, but the bulk of the speech was read in that tidy, clipped, flat tone one associates with the General. During the convention, Eisenhower mentioned that he kept pictures of four great Americans on the wall of his office. One of the pictures was that of Robert E. Lee. This revelation prompted a letter from a New York dentist, Dr. Leon W. Scott, to the President asking him why. The exchange between the two is given below. 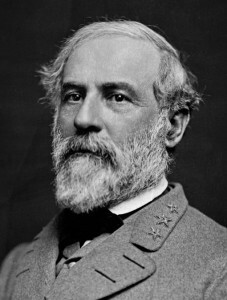 At the Republican Convention I heard you mention that you have the pictures of four (4) great Americans in your office, and that included in these is a picture of Robert E. Lee. From deep conviction I simply say this: a nation of men of Lee’s caliber would be unconquerable in spirit and soul. Indeed, to the degree that present-day American youth will strive to emulate his rare qualities, including his devotion to this land as revealed in his painstaking efforts to help heal the Nation’s wounds once the bitter struggle was over, we, in our own time of danger in a divided world, will be strengthened and our love of freedom sustained. This past summer marked the 40th anniversary of my graduation from graduate school at UNC-Chapel Hill. My research group there was small: two of us were graduate students, and the third member of the group was a post-doc. The other graduate student, Ed, was a very interesting fellow. He had attended several graduate schools, and had settled on UNC as the place from which he would, reluctantly, finally, graduate. Ed once upon a time was enrolled as a grad student at Stanford. At the time, Stanford had a whole stable of Nobel laureates in our discipline. Ed’s favorite memory of Stanford was standing in front of a urinal in the men’s room, relieving himself between two Nobel Prize-winning physicists. Linus Pauling, the Nobel laureate in both chemistry and peace, was at Stanford when Ed was there. Pauling, you may recall, was an advocate for the idea that vitamin C could cure the common cold, among other things. According to Ed, Pauling kept a big apothecary jar filled with vitamin C on his desk. Students were encouraged to grab a hand-full of vitamin tablets, and to keep a log of their dosage and how they felt. I haven’t kept up with research in that area, but the last I heard, there was absolutely no good scientific evidence that vitamin C does anything at all to reduce the length of a cold, or to alleviate the symptoms. I have heard of at least one study indicating that zinc gluconate works to some degree to lessen the severity of the common cold, but vitamin C appears to have a reputation that it does not deserve. Still, if you check my medicine chest, you will find packets of Emergen-C powder, each containing one gram of flavored vitamin C, ready to be mixed with water. Let’s just call that my superstition: I find it difficult to bet against Linus Pauling. Although I no longer work as a researcher, it appears that I have stumbled across a research finding of extreme significance. I was able to restore my pre-calculus class to perfect health, and all in one day. It was so simple, yet so efficient, that I have to share the results with you. And it did not involve vitamin C.
I noticed that a fair number of seniors in the class were always absent due to illness on test day. The affliction affecting the seniors did not appear to be contagious, as the juniors in the class were unaffected. I suppose the seniors have suppressed immune systems due to the stress of applying to colleges. At any rate, it was very, very inconvenient. It was also unfair, as the seniors who skipped test day, but later took the test, scored better, on average, than the students who took the test on test day. That makes sense: they had more time to study for the test. I gave a test last Wednesday on exponential and logarithmic functions. Several days prior to the test, I told the class the number and types of problems that would be on the test: three problems of this type, four problems of that type, etc. At the end of the review I asked the question: What type of problem is not on the test? They replied, unanimously, “word problems!” It must be a universal truth that students who can solve a simple equation for x cannot solve the problem if it is posited in the form of a word problem. All my students hate word problems, and they really do not like the idea that I expect them to be able to solve word problems. Back to my cure for the mysterious affliction that I will simply call “senioritis.” I informed the class that any student missing the test on Wednesday had best show up with a doctor’s note, preferably with photos of the compound fracture or surgical incisions that caused the absence. If they showed up with this documentation, they would be allowed to take the same test their classmates took. If they did not show up with this documentation, they would take a different test, one of equal length to the original, but one composed entirely of word problems. It was miraculous. My sickly senior class suddenly became quite healthy. On test day, I had 100% attendance. I thought that one student would end up taking the make-up test, as he did not make it to his main lesson block, nor did he show up for first period. But there he was, huffing and puffing as he sprinted to the door, coming into the classroom just under the wire, to take his second period math test. I do not know how to transfer this miracle cure to other situations, such as poor attendance in the workplace, but in this one instance it worked like a charm. I often hear students complaining about math. They ask the age old question “When will I ever use this in real life?” I now have one answer to the question. I apologize for the delay in posting this blog. It has been awhile since my last post. I made the decision to transfer this blog from the Chile Today Hot Tamale website (as I rarely discussed anything to do with the business) to the website my son and I own, MrBatten.com. As it happens, we needed to do a little work on the MrBatten website, and I was not competent to the task. Fortunately my son, Jason, did the hard work. (Arthur C.) Clarke’s Third Law states that any sufficiently advanced technology is indistinguishable from magic. Jason is, therefore, a magician. I return to my last post, the one written in eager anticipation of the opening of a Dunkin’ Donuts in my home town of Madison, GA. My last post was written before its opening, and I was aggravated by the fact that the opening was postponed time and time again. I really needed a Bavarian Cream doughnut in the worst way, and these postponed openings were getting to me. The store finally opened one Saturday morning, before dawn. I was there. Yes, I was crazy enough to set an alarm for a Saturday morning just to get my hands on a Bavarian Cream doughnut. And when I finally got to the counter (it was quite crowded) I discovered that this particular store had decided not to make the wonderful Bavarian Cream doughnut. I was crushed. I made my displeasure known, in a civil manner, of course. I complained roundly to one and all about the audacity of a business not providing its finest product to an eager customer base. I knew that my complaints would fall on deaf ears: they always do. But I did register my gripe, and then tried to let go of my pain. But it is difficult to let it go when you drive past the store twice every weekday. I was losing what little serenity I possessed. Friday night I suffered an attack of ICD (ice cream deprivation). Surely you know the feeling one gets when nothing but ice cream will do, and there is none in the house. I convinced Kathy to go with me to Dunkin’ Donuts, as there is a Baskin-Robbins ice cream bar there. We ordered our ice cream, and, glutton for punishment that I am, I drifted over to the doughnut side of the business to look wistfully and the slot where the Bavarian Cream doughnuts should be. And what did I see? BAVARIAN CREAM DOUGHNUTS! My complaints had paid off. Or perhaps my complaints, along with the complaints of hundreds of other customers, had carried the day. I do not know why they suddenly appeared, but I do know that they made me a happy man. I bought all that they had left (a mere six), and had them completely polished off by breakfast time the next morning. This morning, on the way to work, I stopped by good old Dunkin’ Donuts. I decided that the faculty at the school really needed a box of Bavarian Cream doughnuts, and I was just the man to provide said box. I strolled into the store, and was gratified to see the display racks filled to the brim with freshly made doughnuts. There was one little problem, though. Not a single display rack was labeled. Row upon row of beautiful, fresh doughnuts, with no way to identify which was which. The young fellow who waited on me was a bit puzzled that the labels were gone, but he figured he could pick out the Bavarian Creams from the dozen or so other varieties of doughnuts that appear to be identical from the outside. And so I purchased a dozen, threw them in the pickup, and headed for work, so that I could sample this magnificent gift to the faculty. As it happens, the young fellow sold me a dozen Vanilla Cream doughnuts. I do not know why the store had to take down the labels. I do not know why the store had to fill the racks with unidentified doughnuts. And I still don’t know why, on opening day, they did not carry Bavarian Cream doughnuts. And so, I am frustrated. There may be a reader or two out there thinking about starting a business. Trust me on this one: the way my local Dunkin’ opened is not the way you should open. Eager anticipation followed by bitter disappointment is not a good business model. Very soon I will be 66 years of age, and I have spent 39 of those years (59%, if you are interested in the math) in small towns. I could hardly wait to escape the small town of my youth, but by the time we began to have children, the attraction of the city (Baltimore, at that time) began to fade. In the early 1980s, Baltimore was not the disaster area it is now, but it was clear that a small town environment would offer benefits that Baltimore could not offer. And so we moved. The move back to a large metro area filled a void in my wife’s life; that is, the absence of shopping malls closer than 66 miles from home. But I had been spoiled, and reasonably soon after the split I found myself in the small town of Madison, Georgia. Small towns may not be idyllic, but they are fairly close to it. The one drawback to a small town is the lack of places to shop. 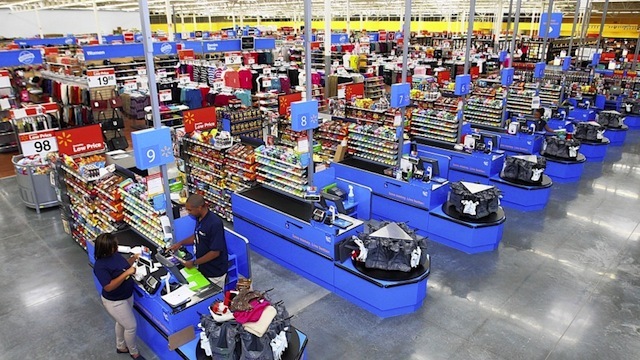 In Madison there are only two places (Walmart excluded) for men to buy clothes. There is only one office supply store. The hardware store closed down when the owner retired, so every little repair around the house now requires a trip out to Lowes. Don’t get me wrong, Lowes is a very fine store, and I’m happy that we have one in town, but I do miss the interaction with the owner of the hardware store, and his well-informed staff. I believe the nearest shopping mall is in Athens (29 miles) or Conyers (35 miles). (I don’t know for sure, as I try very hard to avoid those places.) The nearest gun range is in Monroe (23 miles). But there is one shopping problem that Amazon cannot solve, and that is the problem of the missing Bavarian Cream doughnut. I am almost embarrassed to admit this, but I prefer the northern Dunkin’ Donuts (Canton, Massachusetts) to the southern Krispy Kreme (Winston-Salem, North Carolina). My two great-great grandfathers who fought for the Confederate States during the late War of Northern Aggression must be turning over in their graves. Nevertheless, that is life. The doughnut in his highest form is the Bavarian Cream doughnut produced by Dunkin’ Donuts. (Their coffee is pretty darn good, as well.) Krispy Kreme offers nothing that comes close to the Bavarian Cream doughnut. And Madison does not have a Dunkin’ Donuts. But we will soon. Or so they say. A bit ago I read a notice in the local paper that we would soon have a Dunkin’ Donuts/Baskin-Robbins of our very own. That was around the same time that the local paper announced that we would soon get a Bojangles’ fast food joint. Well, Bojangles’ is here, open, and apparently doing a nice business. Dunkin’ Donuts, on the other hand, may or may not be here. The building has been finished, the parking lot is paved, and the landscaping (traditionally the last item on the construction list) is completed. But it isn’t open. I drive by the place every morning on the way to work, while it is still dark outside. The interior of the store is lit up every morning, but there are no people, and importantly, no doughnuts. Why do they wait? Don’t they realize that I am in dire need of a Bavarian Cream fix? Oh, the woes of small town life! I am beginning to feel like Vladimir or Estragon, awaiting the arrival of Godot. Yes, I am waiting on Dunkin’, and the messenger continues to tell me that Dunkin’ will not be arriving today, but surely tomorrow. Although the autumnal equinox is still two weeks away, I have seen three definite signs, over the last two weeks, that fall is already here. Some of you know me only in my capacity as CEO of The O’Connor Group, Inc., the parent company of Chile Today Hot Tamale! (Don’t be too impressed by the title. Kathy gave it to me, and tells me it stands for “Carry Everything Out.”) I do have another job, that of a high school math teacher, and one of my duties at the school is to supervise the morning drop-off of the eager young minds that parents entrust to our care. For the past two weeks there has been a definite touch of fall in the early morning air. I know that sounds silly, given that afternoon temperatures are still in the 90s, but the foretaste of fall is unmistakable. The second sign I saw this morning as I was mowing the lawn. [My very first paying job was mowing our lawn (and the vacant lot next door that we were allowed to play on, if I may be allowed to end a sentence with a preposition). For that work I was awarded the magnificent sum of 25 cents, which would stay in my possession just long enough for me to hop on my bike and pedal to Wade’s Five and Dime, where I exchanged the whole two bits for bubble gum baseball cards. That is probably the only reason why I can now remember most of the starting lineup of the 1961 New York Yankees. It seems that I have not made much progress in the last 57 years, given that I am still mowing the lawn, but now without getting paid even 25 cents for it.] There are leaves everywhere on the ground! I have seen this early loss of leaves in previous years, but those were drought years. We have had a good bit of rain this summer, and Lake Oconee appears to be at full pool, so I can’t imagine that we are suffering in a drought. No, fall is definitely sneaking up on us. The third sign involves a common insect that I spent a lifetime referring to as the “cockroach”. The denizens of the coastal portions of the southeastern United States refer to these creatures as “palmetto bugs”. I admit that “palmetto bug” sounds much nicer, so that is the term I will use. Recently, I have seen a fair number of palmetto bugs attempting to, and sometimes succeeding in, entering the house. They are relatively easy prey, as they are moving very slowly. None thus far has escaped the fate that I have in store for the lowly palmetto bug, namely, the thermonuclear tennis shoe. But this invasion of an alien species is a sure sign that fall is here. I have seen this in the past. The insects, in preparation for a change in the season, seek the comfort of our little home. I have been vocal about the fact that my favorite season is summer, followed by spring (because it leads naturally to summer). But fall has its nice features. Fall is the season for festivals, celebrating everything from bar-b-cue (The Bar-B-Cue Festival, Lexington, NC) to apple harvests (there are many around the country, including the national festival in Arendtsville, PA, and my favorite, the Shenandoah Valley Apple Harvest Festival in Winchester, VA, hometown of Patsy Cline) to shrimp and grits. Speaking of Shrimp and Grits, the 2018 Shrimp and Grits Festival will be held next weekend at Jekyll Island, Georgia, beginning Friday, September 14 through Sunday, September 16. This festival was voted the best festival in the southeastern United States. We attended in 2016, and we can see why it received such an accolade. The festival was canceled last year, courtesy of a hurricane (Hurricane Irma, I think), but it is back this year, and Kathy and I are looking forward to participating once again in a celebration of two fantastic foods, grits and shrimp. As it happens, we know of a hot sauce, containing garlic, that is a perfect accompaniment to this delicacy. So, if you are in the vicinity, come see us. Enjoy beautiful Jekyll Island, enjoy the music, enjoy the food, and enjoy the crafts. In other words, enjoy the fall.